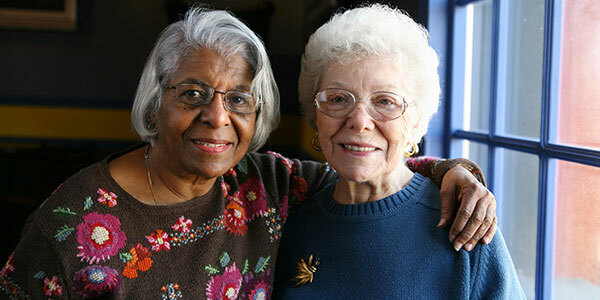 May is Older Americans Month, a time to recognize the impact that seniors have had on our lives. It is also a time to ponder how future generations might judge how we have cared for those who used to care for us. In the early 2010s, property investors in Detroit began cashing in on the improving real estate market. They began redeveloping their properties to serve a younger, more affluent clientele as policymakers devised opportunities to attract this demographic. Perhaps underscoring this effort is an infamous advertisement that appeared on a building in downtown Detroit with the caption, “See Detroit Like We Do,” which featured young, white people. The company apologized for the ad, recognizing the message’s tone deafness in a city that is over 80% African-American. But what neither the company nor the outcry acknowledged is that in addition to the message’s bias against people of color, there was also an unconscious preference for younger people over seniors. There are more than 2,000 older adults who live in senior apartment buildings in Midtown and downtown Detroit. Many of them wonder whether they will be forced to move as properties convert to market rate condominiums and apartments. Some of these conversions reserve a percentage of the units, usually 20% or less, for low income; however, the price points are still considerably higher than what seniors previously paid. Unable to afford the new rents, they are forced to relocate. The Centers for Disease Control and Prevention has identified that displacement can result in negative health consequences for vulnerable populations like senior citizens. A significant risk is social isolationism, which has been associated with dementia, increased risk for hospital readmission, and higher mortality. Recent research has shown that social isolation may be as damaging to one’s health as smoking 15 cigarettes a day. Recently, the Department of Health and Human Services announced a proposal that would increase rent payments on the nation’s poorest. If legislation passes, the impact on seniors won’t be immediate, but six years after the law is in effect, the maximum rents on older adults living in subsidized housing will rise as well, which might mean unplanned relocations and substandard living conditions. These proposed changes come at a time when the U.S. economy is doing better. There’s low unemployment. Several companies are reporting record profits. In fact, our country is doing so well that we gave corporations massive tax cuts under the premise that companies will re-invest in factories and equipment, keeping our economy humming for a long time. On the other hand, the left has argued that today’s tax cuts will create massive deficits that will have our economy singing out of tune in the years to come. There are some on the right who have already put forth proposals to cut Medicaid, Medicare, and Social Security, the safety net programs for older adults. In conjunction with Older Americans Month, we shouldn’t just recognize our older citizens, but begin a movement that ensures that seniors are valued in our nation year-round. After all, it has been their sweat and hard work that has made our communities and country strong. We need to think about what future generations might see as they look back on us. Will they see that we came together with a purpose to maintain and safeguard the programs and supports that older adults have earned, or will they be horrified that we set the people who once cared for us out on metaphorical ice floes? In the end, to paraphrase Mahatma Gandhi, they will judge us on how we treated the most vulnerable among us.